Unlimi-Tech Software, the pioneer in accelerated file transfers and the creator of FileCatalyst, the worlds leading accelerated file transfer solution, announces today a value added reseller agreement with Digibase. This partnership enables Digibase to distribute the FileCatalyst suite of accelerated and managed file transfer solutions in Korea, Japan, Thailand and Philippines. Headquartered in Seoul, Korea, Digibase is a well known broadcasting solutions provider in these markets, optimizing workflows for customers in broadcasting, cable television, corporations, telecommunications, and education and government. 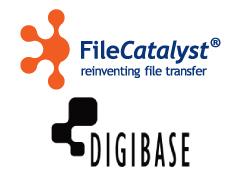 The new distributor agreement between FileCatalyst and Digibase enables Digibase to provide its clients with the FileCatalyst platform of accelerated and managed file transfer solutions. FileCatalysts accelerated file transfer technology enables transfers at full line speed, eliminating slow or failed transfers commonly experienced when delivering very large files. The FileCatalyst platform is a great fit with our existing solutions, especially for the broadcasting and telecommunications markets, says Brian Shin, Sales & Marketing Director at Digibase. FileCatalysts ability to move files at accelerated speeds is essential to many of our clients who are sharing large volumes of content on a daily basis. Digibase is a very respected broadcast IT solutions distributor in Korea and Japan, providing customers with leading technology and infrastructure, now including the FileCatalyst suite of products, says Alan Atkinson, VP of Business Development at Unlimi-Tech. We are excited to bring FileCatalyst to Asia, specifically Korea and Japan, through this partnership with Digibase. FileCatalyst is currently exhibiting its suite of accelerated and managed file transfer solutions at Broadcast Asia, the continents largest representative, integrated show for the pro-audio, film and TV industries, taking place at the Marina Bay Sands, in Singapore from June 18 - 21. DIGIBASE Co., Ltd is headquartered in Seoul, Korea, with various sales channel & SI partner in Korea and Japan. Over 13 years experience, DIGIBASE have been providing various solution of encoding, streaming & broadcasting for broadcasters, Cable TV operators, education, corporation, Telco & government etc. DIGIBASE is providing full-line of customer service including solution consulting, training, technical support & maintenance. To learn more, visit http://www.digibase.co.kr. Director Heath Cozens, a resident of Japan, had worked with Ductape on advertising campaigns the agency had produced in Tokyo. He contacted Ductape's Executive Producer Garret Cheves with footage he'd personally shot in and around the area of Touhoku that graphically depicted the dire circumstances facing the residents of that area one year later. "I was floored," Garret remembers, "I had no idea things were still that bad." "Japan is recovering, albeit slowly," Heath says in a Skype interview, "But the depth of the disaster is difficult to understand unless you live here--the [need] remains great, even a year out. I wanted to show the world images of where we really are in terms of rebuilding and how much their donations, no matter the size, are still very much needed." A single dissonant note opens the spot and we find ourselves looking at a field of twisted debris that stretches to a calm sliver of sea on the horizon. One skeletal structure sags in the middle of the vast field of tortured debris, the only signpost that remains of a once vibrant fishing village. Other shots reveal more personal aspects of the devastation: a child's toy swings in a window framed with teddy bear curtains, a gas station still shelters empty cars twisted around rows of blackened gas pumps. Ben Stiller is heard in voiceover saying, "On March 11, Japan's northeastern seaboard was destroyed." The spot then takes the viewer to a makeshift shelter in a high school gymnasium, with haunting images of Japanese survivors who have yet to find homes. Their eyes tell the whole story. Mr. Stiller continues, "This is not yesterday's news. It's happening now. This is Japan, now." The spots effect is chilling. EP Garret Cheves adds, "Ben gave us all the time we needed during a busy weekend to capture an effective message. He and his staff went out of the way to accommodate the shoot, even scheduling us around his kid's birthday party!" TDERF describes their efforts as springing from a grassroots movement, resulting in a high degree of efficiency when delivering supplies to the areas affected by the tsunami. Their website states, "that with less than $ 25,000 we have been able to convert that to almost $ 200,000 of aid delivered." An interesting aspect of TDERF is that the organization is largely comprised of expats from all over the world who are motivated not just by compassion, but also by their gratitude to the country that has become their home "and showed us so much generosity, kindness of spirit, and hospitality in the past and not only us but the world." The high caliber feature film crew donated their time and equipment, and the stage was donated by Red Studios, the maker of the Red camera system. Producer Martin Skye coordinated Ben Stiller's involvement from his home in Takarazuka, Japan. Nobody knew how bad the situation really was in the days immediately following the tragedy, said Skye. Syke described entering the disaster zone as first driving into a ghost town to sporadic damage to full-blown wiped off planet earth. The earthquake damage is one thing, but the tsunami pulled entire cities out to sea." Today TDERF http://www.tderf.org continues to give voice to the victims of the tsunami and pledges to continue until the area is restored. Ductape http://www.ductapemedia.com is a small ad agency located in Los Angeles, which began serving the community six years ago, creating content for companies like Guthy-Renker, makers of the ubiquitous Proactiv Solution. Ductape specializes in both long and short form creative and recently won a gold Addy for their St. Anthony "Shattered" spot, directed by Rocky Lane. Ductape focuses on US markets, but has also created campaigns in Japan, Germany, Australia and the UK. growing Business Intelligence (BI) company, today announced the formation of QlikView Japan, establishing its presence in the world's second-largest market for BI software. The news follows QlikTech's recent announcement of another year of impressive growth in 2008, with revenues increasing by 50% to $ 120 million and the addition of more than 3,800 new customers, to over 10,500 customers in 92 countries. "The formation of QlikView Japan marks a major step in our ongoing geographic expansion, which is critical to maintaining a high rate of growth for the company," said QlikTech CEO Lars Björk. "We foresee an increased demand for our product in Japan as organizations across the country that need to get to business answers learn about the power of QlikView. Japan and the Asia Pacific region will be increasingly significant parts of QlikTech's continued success in the coming years. " QlikView Japan has formed partnerships with three of the country's leading software resellers: Ashisuto, CSK, and Hitachi INS. Along with these partners, QlikView will offer the Japanese version of the award-winning QlikView product, which is available and shipping today. Demonstrating immediate market traction, QlikView Japan has already acquired several new customers including NTT Communications. QlikView is perfectly positioned for the Japanese market, where the economic downturn is driving the need for business analysis solutions that deliver fast time to value and flexibility to respond to changing business conditions. QlikView is a whole new class of business intelligence software that puts business users in control, lets them explore their data with unprecedented freedom, and get the answers they need to take immediate action. QlikView uses patented "associative analysis" to connect data from any source, and it exploits "in-memory" technology for rapid analysis and scalable deployment. "Companies will find QlikView's ease of use and simplicity to be compelling benefits in a business intelligence solution," said, Masaaki Kakita, General Manager, QlikView Japan. "Japanese customers are seeking a tool that is dramatically faster to deploy and far more cost effective than traditional BI offerings." QlikTech is the Business Answers company. Its flagship product, QlikView, enables organizations of all sizes to unlock the value of their data to make better decisions that improve business results. Unlike traditional BI solutions, QlikView delivers immediate value with payback measured in days or weeks rather than months, years, or not at all. Through QlikView's disruptive, in-memory associative approach, business users have experienced unprecedented success and satisfaction. QlikTech is the only company in this market that offers a 30-day money-back guarantee. QlikTech grew by 50% in 2008 and has more than 10,500 customers in 92 countries and over 700 partners worldwide. For more information, please visit http://www.qlikview.com. 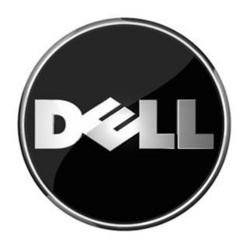 This press release contains unaudited financial information and forward-looking statements. Such forward-looking statements are based upon current expectations that involve risks, changes in circumstances, assumptions and uncertainties. Important factors that could cause actual results to differ materially from those reflected in any forward-looking statements include, among others, a lack of acceptance of QlikTech's products in the marketplace, a failure of the company to become or remain profitable, QlikTech's inability to obtain the capital necessary to fund its research and development activities, a loss of any of the company's key personnel or management and other factors. The financial and business information referenced above does not guarantee future results or performance. The information in this press release is provided only as of the date of this press release, and QlikTech undertakes no obligation to update any forward-looking statements contained in this release on account of new information, future events, or otherwise, except as required by law. QlikTech and QlikView are trademarks or registered trademarks of QlikTech International AB. Other company names, product names and company logos mentioned herein are the trademarks, or registered trademarks of their respective owners. Mai Sato-Flores, who was born and raised in Japan, watched the news of the earthquake, tsunami and ensuing radiation disaster with great emotional pain. After feeling helpless she decided she would take action doing something she knows to help those in need. She designed the "Rising Sun” in both necklace and earrings with red garnet and white moonstone gems in the form of a circle to show unity with the people of Japan, and she donates 50% of the proceeds from sales on her website to the Red Cross for the Japanese Relief Fund. She makes each one of these intricately designed pieces by hand. Mai is also donating jewelry for the “Ring of Love for Japan”, a charity jewelry sale for Japan earthquake relief at ABC Carpet & Home to be held on Saturday, April 9 at 2:00pm - April 10 at 6:00pm, at 888 Broadway NYC, NY 10003, NY, NY. More than 60 jewelry designers have donated pieces to support children who have been displaced from their homes. 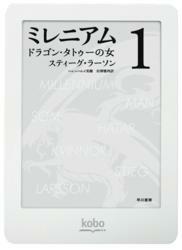 All profits are donated to Save the Children’s Japan Earthquake Tsunami Relief. Designer and author, Mai Sato-Flores grew up in Japan. Mai (pronounced like my) moved to New York City to study jewelry-making and graphic design. Mai uses various techniques to create her jewelry, including metalsmithing, wax-carving and intricate wire-wrapping. She loves working with her many tools to create jewelry at her design studio in a former toy factory in Williamsburg, Brooklyn. Mai is the co-author of “Wrapped In Gems”, a book about gemstones, wire-wrapping jewelry techniques and design inspiration, published by Random House/Potter Craft. She currently sells her jewelry at trunk shows at New York City’s renowned Henri Bendel on Fifth Avenue, online at http://www.maiflores.com, and is expanding to more stores. Research and Markets (http://www.researchandmarkets.com/reports/c15687) has announced the addition of Japan Server 2004-2008 Forecast Update and 1H04 Vendor Shares: 2004 Midyear Review to their offering. This study analyzes the shipments of the Japanese server market in 1H04 (January-June) and forecasts the market size between 2004 and 2008. The factory revenue of the server market in 1H04 showed year-on-year decrease of 1.9% to 366.06 billion yen. Although this is the seventh straight decline, the growth rate is recovering after hitting the bottom in 1H03. The shipments grew by 15.0% to 243,439 units and achieved two-digit growth for two consecutive periods. The shipments showed year-on-year growth in all product segments. "The server demand is clearly improving, and that the demand for replacement of RISC server and mainframe has recovered in 1H04. On the other hand, the decrease in the average selling value of x86 server accelerated. The x86 server market maintains healthy growth in terms of shipments, but its factory revenue was sluggish. Based on these factors, we revised the market forecast for 2004 upward. The server market in 2004 will show year-on-year decrease of 2.8% in factory revenue to 699.373 billion yen. The shipments are expected to increase by 14.1%," observes Masahiro Nakamura, research manager. TechExcel, Inc., a leading provider of Application Lifecycle Management and IT Service Management and help desk issue tracking software, today announced the opening of new Customer Support and Sales offices in Tokyo to serve the needs of its expanding Japanese customer base. Tokyo was also selected as part of the company's strategic growth strategy to offer all TechExcel customers 24 hour global support and address the growing demand for its unified Application Lifecycle Management (ALM) and support and service software solutions, worldwide. "TechExcel is dedicated to supporting the growing number of IT and support professionals throughout Europe and Asia. With the opening of our latest offices in Japan and the addition of new multilingual configuration settings and Unicode support to our ALM and ITSM and help desk solutions, DevSuite and ServiceWise are now truly global solutions," said Dr. Tieren Zhou, TechExcel's CEO and Chief Software Architect. For additional information on TechExcel's Japan sales and support office in Tokyo, visit http://www.techexcel.com or contact the company at Kowa 5 Bld. 3rd floor, 3-1-2 Taihei, Sumida-ku, Tokyo, 130-0012 Tel: 03-6658-8898 Fax: 03-6658-8896. TechExcel, Inc. is the leader in unified Application Lifecycle Management as well as Support and Service solutions that bridge the divide between product development and service/support. This unification enables enterprises to focus on the strategic goals of product design, project planning, development and testing, while enabling transparent visibility with all customer-facing initiatives. Founded in 1995 and headquartered in Lafayette, California, TechExcel has over 1,500 customers in more than 42 countries and maintains offices in Chapel Hill, North Carolina, London and Beijing. For more information, visit http://www.techexcel.com or call 925-871-3900 in the United States or +44(0)207-470-5650 in the United Kingdom.